The term ‘skyscraper’ was first introduced in the late 19th century to describe buildings employing new techniques of steel framed construction that stood at over 10 stories. By the 1920s, these towering architectural structures began popping up in cities across the United States, namely Chicago and New York, during a period of robust industrial expansion. Skyscrapers not only carried a connotation of pride, breaking constraints of the past through advances in civil engineering, but stood as universal symbols of American modernity. While architects were challenging themselves to push the boundaries of scale, Austrian born design polymath Paul T. Frankl was thoughtfully examining skyscrapers based on structure and form. Achieving notoriety as an art historian, professor, furniture designer, architect, painter and gallerist, Frankl’s skills across industries and mediums qualified him as a quintessential 20th century renaissance man. Following a move to the United States in 1914, Frankl began exploring the fields of architecture and painting, as well as furniture and product design. 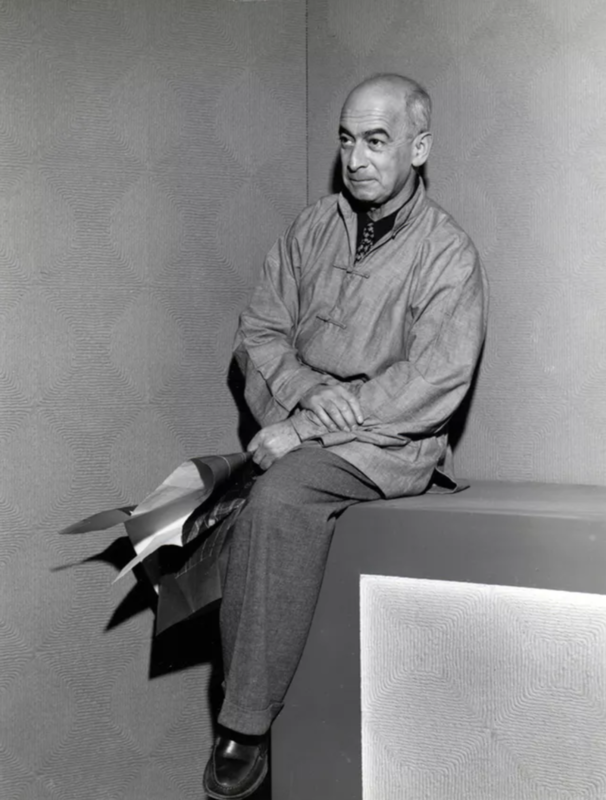 It wasn’t until the 1920s in the development of his ‘skyscraper’ style furniture, that Frankl gained notoriety as one of the first modern designers of American decorative arts. Like all good design, Frankl’s earliest Skyscraper models were built out of personal necessity; ironically, during a time the architect was working from a distinctly rural environment. Frankl spent the summer of 1925 renovating his cabin in Woodstock, New York. In an effort to erect a unique shelving system that could accommodate a variety of both slender and bulky books, Frankl began experimenting with modular construction techniques. The resulting designs utilized spare, geometric shapes and unadorned surfaces that, when stacked atop a sharply molded base, mimicked the structural lines and contours of New York’s newest skyscrapers. 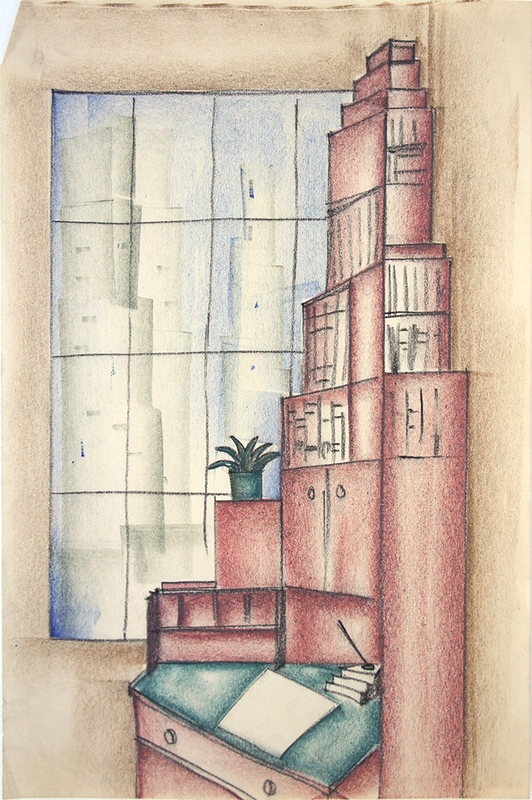 Frankl’s inclination to erect smooth, unadorned furnishings using skyscrapers as his inspiration exemplified the tenets of modernist design and thought. The resulting models were celebrated as quintessentially American, garnering reactions comparing Frankl’s furniture as the design equivalent to New York’s booming Fifth Avenue. 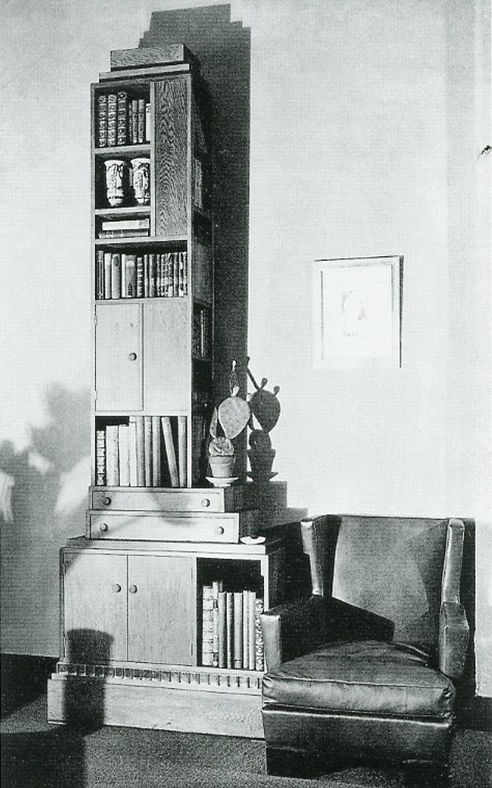 By 1926, Paul T. Frankl’s duel cabinet and shelving units were officially recognized by ‘Good Furniture’ magazine as the ‘Skyscrapers’ and the name was forever cemented in design history.